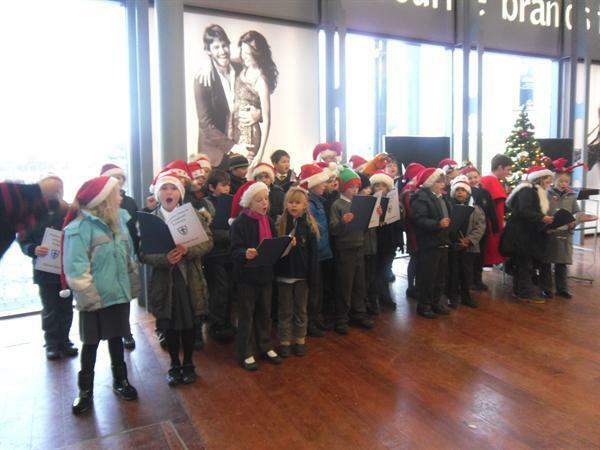 Years 3 & 4 Serenade Shoppers! This afternoon children from Jedi and Thunderbird Classes serenaded shoppers with their angelic voices, singing a whole host of Christmas songs. These ranged from the traditional 'We Three Kings' right up to Wizzard's popular class 'I Wish it Could be Christmas Every Day'. The shoppers were all very impressed with the standard of singing, and many were seen tapping their toes in time to the 'Calypso Carol'. Afterwards, the children exercised their problem-solving skills, completing a treasure hunt round the outlet's many shops.